A new study by a Northwestern University Chemist, a National University of Singapore Economist and two University of São Paulo Physicists revealed that the concentration of ultrafine particles less than 50 nm in diameter increased by one-third in the air of São Paulo, Brazil. According to the study, this increase occurred when higher ethanol prices persuaded drivers to switch from ethanol to gasoline. Currently, environmental protection agencies spread all over the world do not regulate or measure particles of this size, which studies have proved to be unsafe to human health. 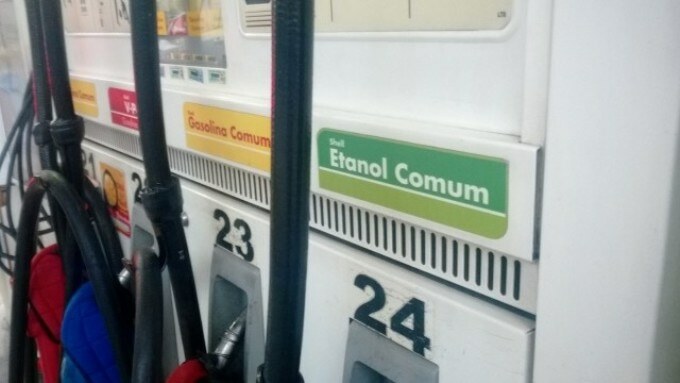 The Researchers also discovered that the concentration of ultrafine particles went down when almost two million São Paulo drivers switched back to ethanol due to a drop in prices. An extremely tight correlation between nanoparticles in the air and fuel choice is illustrated by this lockstep movement. We studied São Paulo, but there are many North American cities, including Chicago, with similar air chemistry, especially spring through fall. The push we are seeing in large cities away from gasoline and toward vehicles powered by ethanol, electricity or a mix of the two will result in a reduction of these ultrafine particles. This likely comes with a health benefit -- these particles, below one micron, have the potential to get deeply into your lungs. Geiger and Alberto Salvo, an Associate Professor of Economics at the National University of Singapore, headed this unique study, which is their second with São Paulo big data. The Researchers were provided with a real-world laboratory for analyzing the effects of human behavior at the fuel pump on urban air pollution by the fact that São Paulo consumers are allowed to switch and are also switching between fuels due to reasons unrelated to air quality. The study was published in the July 17th issue of the journal Nature Communications. In this study, the authors highlight that the prospect of increased biofuel usage and the growing evidence on ultrafines’ health effects lead to making the results policy relevant. With this knowledge, we hope more money and human resources will be invested in trying to understand and possibly monitor these ultrafine particles. The big unknown is what type of particles are the most harmful to health. From January 2011 through to May 2011, the interdisciplinary team executed a regression analysis of consumer behavior, aerosol particle size, traffic and meteorological data. The data under study was from before a major fuel switch and also from during and after the time of the fuel switch because of a huge fluctuation in ethanol prices. The research team also discovered that the choice of fuel had no effect on the concentration of bigger particles. These particles comprise of fine particulate matter 2.5 μm in diameter (PM2.5) down to particles 100 nm in diameter. PM2.5 is regulated by the U.S. and several other countries, but particles that are smaller than PM2.5 are not regulated. Geiger and Salvo were lucky enough to have access to aerosol particle size distribution data from an unconnected research project supervised by Paulo Artaxo and Joel Brito at the University of São Paulo. Experiments performed by both Artaxo and Brito succeeded in gathering data from after, during and before the major fuel switch. They are Co-Authors of the Nature Communications paper, alongside Geiger and Salvo. The Nature Communications study develops on a previous study in which Geiger and Salvo discovered that an increase in the use of ethanol resulted in a major increase in ozone concentrations in São Paulo. According to Geiger, the increase in ozone will have to be weighed by officials against the decrease in nanoparticles when ethanol is being used. For the third chapter of the story, the Researchers are interested in determining the health outcomes in São Paulo when cars switched from gasoline and turned to ethanol and then again switched back to gasoline. São Paulo is known to have the largest flexible-fuel vehicle fleet in the world, with cars capable of running on all ethanol, all gasoline or some mix of the two. The government controls the gasoline prices in Brazil, and the world sugar price determines the domestic price of ethanol, which is from sugarcane. The research was supported by Initiative for Sustainability and Energy at Northwestern University (ISEN); the Dean’s Office of the Kellogg School of Management; the W Awards Program at Northwestern’s Weinberg College of Arts and Sciences; the Dean’s Office of the Faculty of Arts and Social Sciences, National University of Singapore (grant R-122-17 000-187-133); and the São Paulo Research Foundation (grants 2013/05014-0 and 2013/25058-1).